the future of fundraising or just another crypto scam? 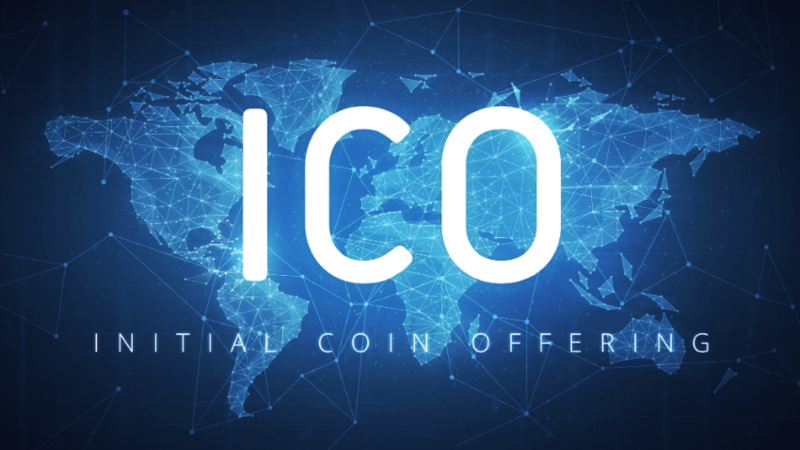 If you are searching for the biggest trend in cryptocurrency today, a look at Initial Coin Offering (ICO) might be a good start. The idea to presale coins of a cryptocurrency or token of a blockchain project has evolved in a crazy successful instrument to raise funds for the development of a new application. Our guide gives an overview on Initial Coin Offering- ICO and presents the hottest past, current, and future ICOs. Maybe the first cryptocurrency distributed by an ICO was Ripple. In early 2013 Ripple Labs started to develop the Ripple called payment system and created around 100 billion XRP token. The company sold these token to fund the development of the Ripple platform. Later in 2013, Mastercoin promised to create a layer on top of Bitcoin to execute smart contracts and tokenize Bitcoin transactions. The developer sold some million Mastercoin token against Bitcoin and received around $1mio. Several other cryptocurrencies have been funded with ICO, for example, Lisk, which sold its coins for around $5mio in early 2016. Most prominent however is Ethereum. In mid-2014 the Ethereum Foundation sold ETH against 0.0005 Bitcoin each. With this, they receive nearly $20mio, which has become one of the largest crowdfunding ever and serves as the capital base for the development of Ethereum. As Ethereum itself unleashed the power of smart contracts, it opened the door for a new generation of Initial Coin Offering. There are dozens of ICO every month which explore new and creative ways to connect the application with the token and to leverage smart contracts to add more features to these tokens. The potential of this trend is immense. ICO enables every individual and every company to easily release freely tradable tokens to raise funds. It could be used to completely reconstruct the financial system of shares, securities and so on. It decentralized not just money, but stock creation and trade. If you want to assess Ethereum’s market capitalization you should not only look at the market cap of Ether itself but also on the value of the token, which adds something like $300 Million to Ethereum’s $4 Billion market cap. However, some jurisdictions seem to be aware of ICO and tend to regulate them similar to the sale of shares and securities. The spectacular implosion of the DAO did a good job in kindle regulators attention. So while ICO currently mostly happen in a gray area, in the future they most likely will be regulated. This could bear some financial and legal risks for investors. Also, the cost and effort to comply with regulation could reduce the advantages of ICO compared with traditional means of funding. Many ICO has been a lucky choice for investors. ETH, for example, was sold at 0.0005 Bitcoin and is worth today 0,05 BTC. Profit: 10,000 percent. Augur token (REP) were sold for around 0,005 each and are now traded at 0,01. The gain in value of 100 to 500 percent in Bitcoin is common for successful ICO. The ICO market is currently still completely unregulated. Everybody should be aware, that this does imply not only large profits for investors, but also large losses. Next was a new gen cryptocurrency made in 2013. For a start, the 1 billion token was sold to early investors. With the ICO the developers only got a double digits amount of Bitcoins. Today the NXT token, however, are worth much more and Next has become a relatively successful and stable cryptocurrency. The decentralized prediction market uses so-called REP-token to decide on the outcome of events. 80 percent of these tokens have been sold to fund the development and got the team more than $5m. Today all the token are worth more than $100m. The Golem project aims to create a decentralized supercomputer, to which participants can contribute with their own computer and earn money by selling its power. Golem uses the Ethereum blockchain for smart contracts; the GNT token is needed to pay for the services. The ICO was restricted on 820,000,000 tokens, for which the developers received more than 10,000 BTC. Today the market share of Golem is beyond 50,000 BTC. Iconomi is a platform for the management of virtual assets. The ICN token is something like shares on the platform and should receive parts of the profits. The developers sold 85,000,000 token and got more than 17,000 BTC for it. Today it has a market capitalization of nearly 40,000 BTC. The Asian platform for decentralized Sportsbet finished the ICO of its token in some seconds. Most of them have been bought by a Chinese exchange. Like Iconomi Melonport aims to develop a platform for the management of blockchain assets built upon Ethereum. The MLN token the developers sold will be needed to use the platform and have been sold or more than 2,000 BTC few month ago. This project wants to build a platform for the easy creation and use of blockchain based smart contracts. For this mission, it could raise more than 14,000 Bitcoin in an ICO. The “uber of recruitment” intends to build a platform with its own currency for freelance projects. They sold 710,000 tokens for more than 4,000 Bitcoin. Similar to Golem, Dfinity wants to build a decentralized platform for cloud computing. In its ICO it raised more than 3,000 Bitcoin. With “only” about 1,000 Bitcoin the ICO of BlockPay was one of the smaller ICOs. BlockPay is a startup building a payment processor for several cryptocurrencies. With “only” about 1,000 Bitcoin the ICO of BlockPay was one of the smaller ICOs. BlockPay is a startup building a payment processor for several cryptocurrencies. This is are just examples. There are hundreds of further more or less successful ICO. Humaniq (a wallet for the unbanked), aeternity (“scalable smart contracts interfacing with real world data”), Internet of Coins (a distributed environment for several blockchains) and Cosmos (similar: “a network of distributed ledgers”). Most interesting however is Blockchain Capital. Traditional investment company which funds a lot of companies in the cryptocurrency ecosystem like BitGo, BitFury, Blockstream, BTCC, Coinbase, Ethcore, Kraken, and Ripple. With the ICO Blockchain Capital enables everybody to participate in its investment rounds. Not every ICO is worth your money. Some just throw a couple of keywords in the air, something with blockchains, distributed platforms, smart contracts and so on, without having a real business plan or just the skills to realize the project. But some are really interesting. Good ICOs have presented months ahead, and the investment community looks forward to participating in it. Since some months the Ethereum community waits for the start of the Gnosis ICO. Like Augur Gnosis will become a decentralized prediction market on Ethereum. Since it is developed by a respected Ethereum developer stakes are high. Also, the launch of EtherEx, a decentralized cryptocurrency exchange, is eagerly awaited. While not as prominent as Gnosis, EtherEx promises to become a part of a truly decentralized ecosystem on Ethereum. Same goes for Akasha, a decentralized social network governed by the Ethereum blockchain. ICO is expected, but no date is announced by now. With Rootstock and Hivemind, two sidechain ICO are anticipated. However, it is not known if the developers of Rootstock and Hivemind plan to presale tokens. They did not announce it, but the structure of their projects implicates tokens, and somehow these tokens have to be distributed. Several appcoins like Filecoin, which enable the storage of files in the IPFS, and Skycoin, a “third generation cryptocurrency”, should be on the list of any ICO hunter. They did not announce an ICO, but will likely presale the coins. We are living in the blessed digital era. It must be somehow connected to a blockchain. Retaining control: you are not sharing your company with an investor, you sell him a future service. That’s a huge difference, you will get the money but still control your business. Globalization: while some companies go door to door to find an investor, with ICO you can immediately rise money from anybody in any country worldwide. Not a race-car or a shoe. It might look pretty much like Monopoly, though. You buy and sell something that doesn't really exist, but somebody wins and somebody loses. The guys with weird genetic trees must promise something worthy to the investors. It can be a free tree for your wife, two percent from the future company revenue or any other value or service. In this case, money definitely might grow on trees. Most of them are still created on the Ethereum platform (the first smart contract was issued by the platform creator, Vitalik Buterin). But there are more, such as Confideal, ChainLink, BlockCAT and others. Each one has its pros and cons. You can read about them here. Plutus, a Bitcoin easy-pay app, issued the tokens on June 2016 with an initial price of $1.183. The current token price is $15.122, which makes 1,178 percent growth! And you could buy lots of it with the price. Neo, another cryptocurrency, did even better. They started with humble 33 cents per token. And today it’s worth $107. You are welcome to calculate the revenue by yourself. I am busy with a self-flagellation for not buying it. Daily ROI for Ethereum token holders is 206 percent. Got it, it's a good deal, isn’t it? Too good offer. Remember, that only a second mouse can enjoy the free cheese. If the revenue percentage is much higher than the average, there should be a heck good reason for it. Otherwise this cheese doesn’t smell good. No clear roadmap. If it is a serious startup, they will work on a detailed roadmap at least for the next year. If the only thing you can read on their website is “it will be cool, so cool, supercool – trust us and give us your money,” probably you should think twice. Last, but not the least: Pre-ICO. Hey, wait. There is something else I forgot – actually you can buy the tokens before the ICO. How come, you ask? It’s a cryptoworld, you know, everything is possible. Nothing is real, follow the white rabbit, Neo. In fact, sometimes a company needs funds for the ICO itself (advertising etc.) In that case they can pronounce “sale before sale.” Pre-sale token price is cheaper, so it can be a very good deal. It is usually very limited and can finish literally in seconds. So, if you want to buy on pre-sale, you need to check the upcoming events all the time. Author adminPosted on July 23, 2018 Categories BusinessTags cryptocurrency, ico, ICOs, markethiveLeave a comment on What is ICO? In an "airdrop," makers of a new digital token give it out for free to some owners of existing coins. "In certain ways people are getting free lottery tickets," says Matthew Roszak, co-founder of Bloq. William Mougayar, blockchain investor, says airdrops are being misused. "Sadly, airdrops are the new spam mail or coupons junk mail." for marketing and encouraging mass adoption: "airdropping" free cryptocurrencies into people's accounts. The meaning of airdrop in the cryptocurrency world has little to do with an iPhone. In this case, a group of people starting a new digital currency decide to give these newly minted tokens to holders of an existing coins like bitcoin or ethereum, for free. "In certain ways people are getting free lottery tickets," said Matthew Roszak, co-founder of enterprise blockchain-technology company Bloq. "There will be a tsunami of airdrops this year." Earlier this month, holders of the cryptocurrency neo were selected to receive another digital coin called ontology, for free. The token is supposed to give holders voting rights for a platform that focuses on identity verification and data services. Ontology began trading on Hong Kong-based exchange Binanceon Wednesday, according to a release. Three other teams — including developers behind a Wikipedia-like site called Everipedia, similar to the ethereum's Callisto Network, and a smart-contract system called United Bitcoin — are also planning airdrops, according to Fundstrat Global Advisors. But given the price surges and mania around cryptocurrencies, it isn't clear why anyone seeking a profit would give away these out these new coins. Digital coin developers are using the airdrop method to promote new projects instead of "spending money on billboards and T-shirts," said Roszak, who is also chairman of the Chamber of Digital Commerce. The ontology airdrop said it would distribute 20 million coins, or about 10 percent of its tokens, to neo holders. Both coins were created by the Chinese company OnChain. For every one neo, investors could get 0.2 ontology tokens, according to the Neo Council, an advisory group.In order to implement an airdrop, the maker of a new coin can look up and offer all of the holders of one cryptocurrency, such as bitcoin, a chance to receive the up-and-coming token for free. The coin isn't necessarily automatically distributed, but users can opt in to participate in the airdrop. "We're seeing it through [digital token sales] and smaller start-ups that are trying to get traction right away," said Shone Anstey, executive chairman, president and co-founder of Blockchain Intelligence Group.The overall trend of being able to get some new digital coins for free through public blockchains "shows the great utility of the public networks," Anstey said. Cryptocurrency enthusiasts often tout the technology's transformational power that will come once there is widespread use. But despite growing interest in digital coins, adoption remains a fraction of the population. Airdrops try to address this issue. "I think we'll see airdrops as an increasingly sophisticated approach to customer acquisition," said Spencer Bogart, partner at San Francisco-based Blockchain Capital. "Slipping money into someone's pocket is a powerful way to get their attention," Bogart said, adding that the airdrop process could spur mass adoption of a new cryptocurrency better than an initial coin offering. ICOs are sales of new digital tokens to raise funds for projects based on blockchain technology. By owning a token, investors potentially get access to a platform such as a cloud storage system, and may benefit from the token's price gains. ICOs have raised about $7 billion to date, according to Autonomous Next. But it can be a challenge for an ICO to reach enough potential investors. In the five months through November, less than a third of ICOs reached their fundraising targets, according to TokenData. "When you give something to someone for free they will pay a little more attention than if you ask them to sign up," said Erik Voorhees, CEO of ShapeShift, a platform for trading digital tokens. "Imagine if Walmart could put some kind of asset into everyone's bank account in the U.S." Another potential benefit of airdrops is less regulatory uncertainty than an initial coin offering. China has officially banned the token sales, while the U.S. Securities and Exchange Commission has stepped up its efforts to stamp out fraudulent ICOs. Many cryptocurrency companies have received subpoenas or information requests from the SEC, CNBC reported last week. Developers may also have an incentive to use airdrops as a way to drive up the price for an existing coin. The demand for that original cryptocurrency could go up as investors buy it just to be a part of an upcoming airdrop. That's similar to how many investors piled into bitcoin ahead of its split into bitcoin and bitcoin cash last summer, in order to benefit from a similar method of giving investors new coins called a "fork." In a Feb. 22 report, Fundstrat Global Advisors highlighted upcoming forks or airdrops in cryptocurrencies such as neo, ethereum classic, zclassic and litecoin. "We think these upcoming forks and airdrops may be a short-term reason to focus on these tokens," the report said. The firm's analysis also found that between the beginning of January and the end of February, five coins posted double digit returns relative to bitcoin. However, their data did show that four other coins with upcoming airdrops or forks underperformed bitcoin. The airdrop phenomenon is also still "fairly fringe" and "won't affect the price," said Blockchain Intelligence Group's Anstey. Other analysts are also skeptical that the trend helps boost public awareness. "Airdrops are being misused and abused, to the point where they are starting to lose their intended effect," William Mougayar, blockchain investor and author of "The Business Blockchain," said in an email. "The more scammy and over-promoted ICOs will tend to send airdrops liberally without a proper user opt-in authorization," Mougayar said. "Sadly, airdrops are the new spam mail or coupons junk mail. They are hit and miss on benefits." Evelyn Cheng is a staff writer at CNBC.com covering daily U.S. market moves and broader market trends across both the United States and China. Prior to CNBC, Cheng held internships with several news outlets including The New York Times Shanghai Bureau and Metro New York. Cheng holds a bachelor's degree in Journalism, Urban Design and Architecture Studies from New York University. She was a recipient of the Edwin Diamond Undergraduate Award, presented to the top undergraduate journalism student at NYU, and a winner of the Roy W. Howard National Collegiate Reporting Competition. Cheng was also the Editor in Chief of NYU's Asian American interest magazine, Generasian. – while being as private as handing something physical to another person. The good news? With Apple’s AirDrop (available in iOS and macOS devices) it already is. Here is everything you need to know to get to using this valuable tool. Apple introduced AirDrop with Mac OS X Lion in 2011, including the feature on iPhones when the company shipped iOS 7 that same year. The simple-to-use technology lets you pass audio, image, video or any other kind of file (including very large files) to another Mac or iOS device with almost zero configuration and zero stress, so long as you’ve got everything working right. Not only this, but there’s no file size limit, and you don’t need to wait for a file to upload to the Internet and then wait again to download it. This makes it much more convenient than uploading items to Dropbox, Box or iCloud in order to share them. On a Mac, you can share almost anything, but you must be certain the device you are sending it to can use what you are sending, or you’ll be wasting your time.A hallmark of digital transformation is the evolution and adoption of the “as-a-service” model for delivery of IT services. So it makes sense that PCs should join networks, infrastructure,… On iOS, the digital assets you can share with AirDrop include photos, videos, contacts, Passbook passes, Notes, documents, PDFs, Mail attachments, items from the Files app, URLs, Maps directions, Books and more. Imagine an infrastructure that predicts and prevents problems before they can affect your business. HPE InfoSight takes care of it for you.To check whether AirDrop works on your Mac, just take a look at the Go item in the Menu bar – if AirDrop is listed there, you can use it. Choose AirDrop in the Go menu to open the AirDrop application. You’ll be asked to enable Wi-Fi and/or Bluetooth if either is switched off. At the bottom of the AirDrop application screen, you will find small blue words that let you define who you share files with:P No one, Contacts or Everyone. You enable AirDrop as a Share item on your Mac in System Preferences>Extensions; in the Share Menu item, just tick AirDrop to activate it.